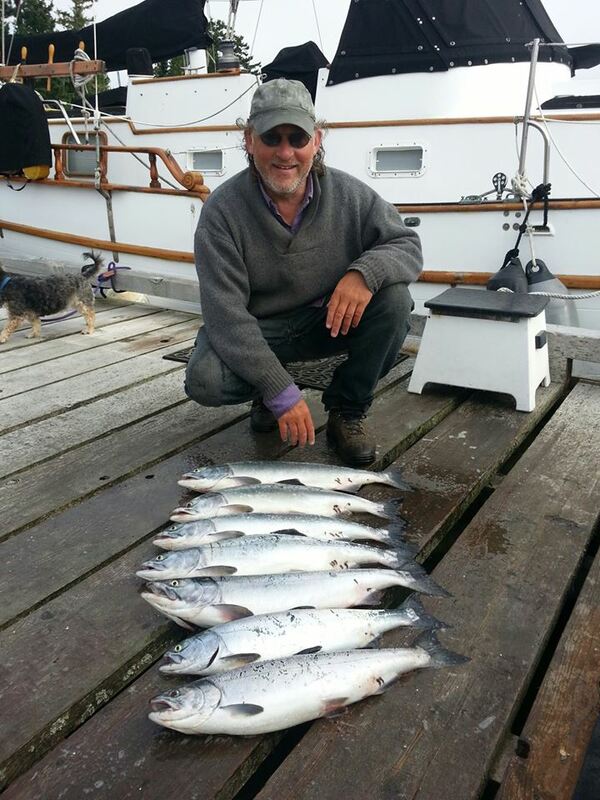 Great fishing in Sooke lately! Curtis from fishwestcoastsportfishing.com reports: "Fishing has been fantastic lately with a large run of Chinook Salmon passing Sooke waters recently. 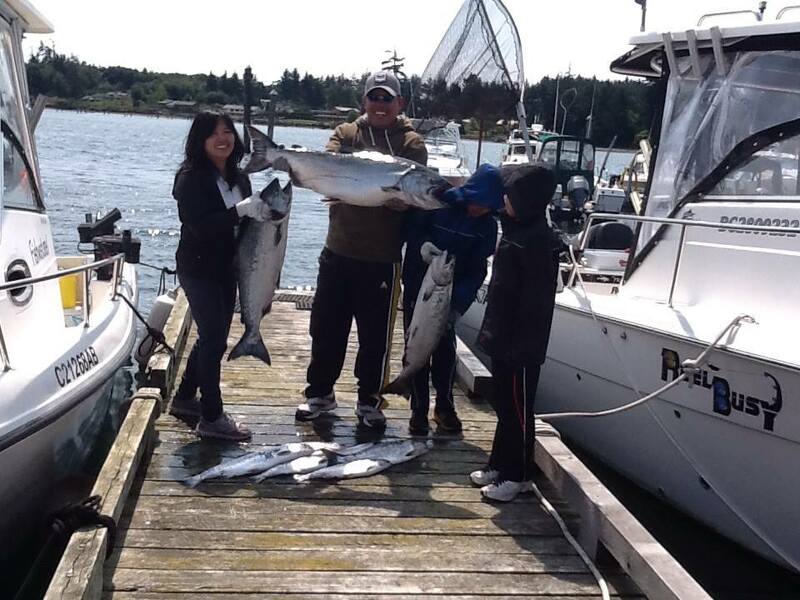 Eric from Edmonton had great success with his wife and two sons fishing for Chinook Salmon up to 39 lbs, with plenty of coho and pinks in the mix as well. The most consistent action for the Chinooks have been anchovies in a army truck teaser head and green flasher, 70ft on the rigger in 100ft of water. 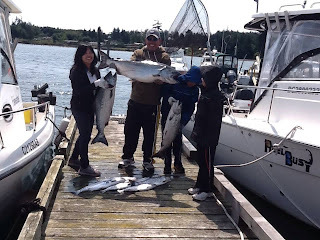 It's time to take the kids out fishing as there is very consistent action all day long!" And there's also loads of pinks and coho out there, lots of fun to be had. 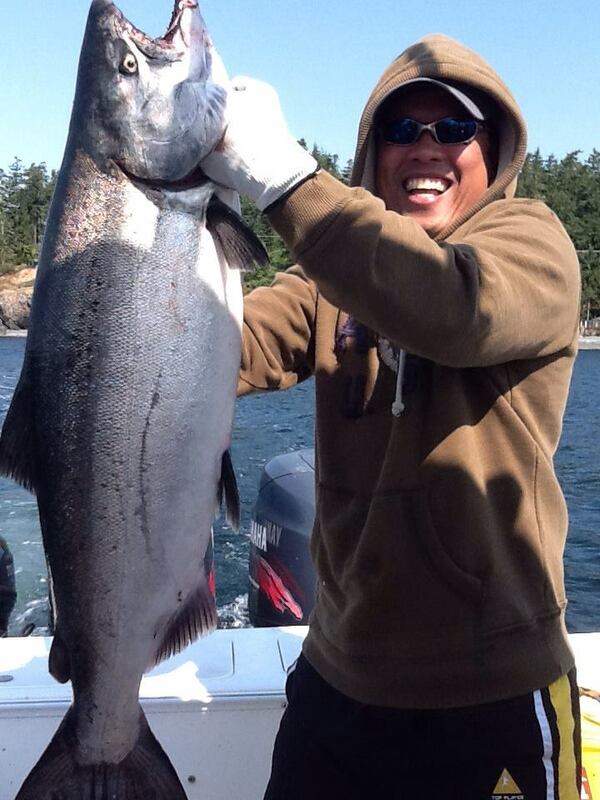 It's peak season, no more excuses, get out there and catch a fish!